I was tired of losing information and documentation. Either written or electronic, I would file it and never be able to find it when i needed it. I came up with a wonderful idea. I should put this information on the Internet where I could always find it...my lame attempt to be funny. You start with an idea, but through time and outside influences, you end up in a different spot than you imagined. I truly planned for this site to be a technical catalog of how-to's and scripts. However, the Internet seems to have more than enough pages like those. This site as taken on the personality of the visitors. The most popular pages are the ones that grew from people's most asked questions about the job, salaries, and how to interview for a SCM job. I have really enjoyed my work with Software Configuration Management. The work is always exciting. The deadlines and pressure to get things done in the software business can be kind of brutal. However, that is why the pay is good. If you are interested, check out the salaries of SCM professionals around the world. "Stay close to the source code by administering it and you will always have a role, or you will be the last one to shutoff the lights"
My experience has been just that. Treat the source code like a valuable company asset and you will always have a job. Another tidbit is do whatever you can to make the developers life easier and you will be a very valuable member of any development team. So naturally, I shopped for an ISP. I found a reasonably priced provider. If you have paid for hosting services before, you immediately start thinking about off-setting the cost of the hosting. However, if you do not have any traffic, you do not have anyway to make money from your site. I investigated ways to increase traffic to my site. My ISP provided many tools for this service, but I needed to upgrade my hosting. My reasonably priced ISP was quickly not so reasonable. The other problem was that these tools were piece-meal and not integrated. For instance, a keyword traffic tool would help generate a list of potential keywords, but not be of any use in determining potential ad word revenues. So, I started my search for a more integrated hosting service. All the ISPs claim to do just that, but when you start digging into them you realize that it is not true. 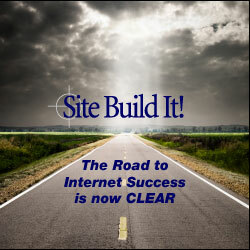 Then I just happened to stumble upon Site Build It! SBI was exactly what I needed for SCMWise.com.